When a new console launches, you quite often find that the game scene for said console can be a little sparse. Whilst the Xbox One and PlayStation 4 weren’t exactly bursting at the seams with new games, they did still offer a pretty good line up for the first year. Now that we are entering the final few days of the year, and pretty much all the games are now out, we thought we would take a look back at our games of the year, and what has also been the biggest disappointment for us. Firstly my biggest disappointment is Destiny. Now, don’t get me wrong, I actually really like the game, and still play it quite a lot. But every time I play it I always end up thinking “Why did they do this, like that?” Or “Why didn’t they include this?” I can’t help but have the ‘What could it have been’ feeling when I play it. Upon the reveal, Destiny was looking like it could be the epic Sci-Fi FPS MMO RPG cross over type game that would entice millions of people. The scope of it sounded amazing. Playing an epic story in an online world, with random public events that would take groups of people to work together to overcome. Travelling across the Galaxy visiting planets that you can explore in an open world environment. RPG elements that would see us scouring planets for the best loot, taking on the toughest bosses for the highest rewards. Then once you had said gear, take it to the Crucible and duke it out with other players. I’d taken the day off of work for when the game launched, so that I could fully immerse myself in it in one sitting. But what I actually got on launch day was a plethora of network errors, and I didn’t even get to play the game for much more than an hour in the first 48 hours. When I did finally get to dedicate a decent amount of time to the game what I found was an extremely lack lustre story where no one has time to explain why they don’t have time to explain things. A method for upgrading equipment that basically sees you run endless loops around small areas searching for a few chests here and there. Special events that were either broken or a waste of time. And enough animal named errors names to fill a zoo. I have such a love hate feeling towards this game. 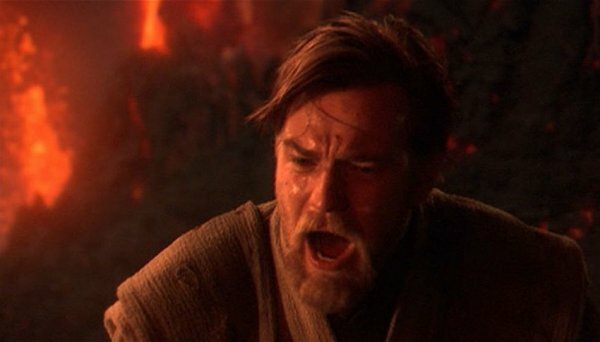 I have great fun playing it with friends, but it just feels like Bungie keep making bad decision after bad decision. Now on to the good stuff. My game of the year has been a bit of a tossup between a couple of games, GTA V being one of them. But seeing as this game was also available before this year I’ve decided against it. Therefore my game of the year is Insomniacs Sunset Overdrive. This game was such a refreshing change of pace and style for me. It has been a while since I’ve played a game that was this fun from start to finish. This is how to have fun! 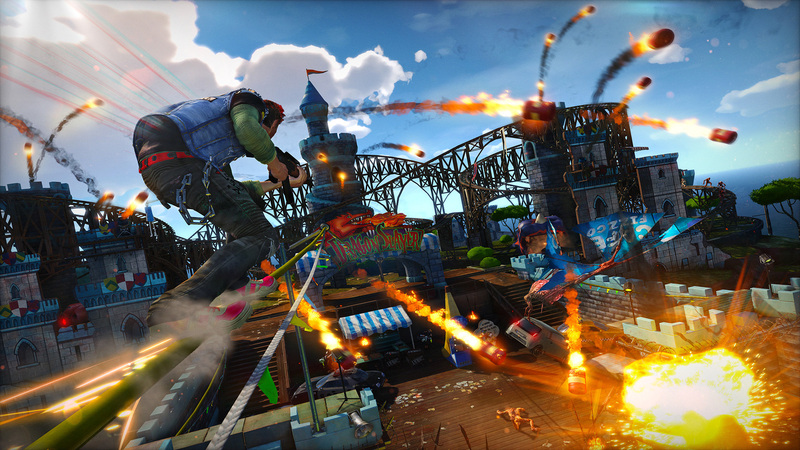 Sunset Overdrive makes no apologies about being silly, or cliche, it embraces it to the max. That, for me, is the main reason why it’s so good. Other games try to be serious, but fail with a few silly moments. Some go a little too far in to silly and I’m sure there will be some that argue SoD goes too far, but for me it was just right. When I first heard about the game, I wasn’t sold on it. The movement sounded like it could put me off. But once you actually sample it, and then master it, its so much fun. You start to wonder why other games don’t use the same mechanic (obviously I know this wouldn’t work in lots of cases). With Sunset Overdrive, not once did I feel the story got tedious. I flew through it a lot quicker than I thought I would. Granted it’s shorter than the previous games mentioned, but it was still fun 100% of the time for me. If I didn’t have so many other games to play right now, I would be putting more time in to it going back over side missions and other tasks. I would just like to point out a couple of other games that stood out for me this year both good and bad. Thief was pretty disappointing for me. So much so, that I didn’t even bother completing it. I don’t know what it was, it just didn’t grab me. This War of Mine – I only recently found out about this through the Steam Sale, but my word is it a fantastic game. It’s a dark survival game where you control a team of civilian survivors in a besieged war torn city. The main goal of the game is to survive the war with the tools and materials the player can gather with the characters they control. The characters you control are not ready for war and will mostly start off with slight sickness and hunger during the starting days of wars. Check out my survival series I recently started. I’ve managed to play it for a couple of hours now and it has stuck with me ever since. It’s bleak, it’s depressing, but it’s brilliant. Firstly, I would like to let it be known that I didn’t buy half as many games this year as I would liked to have. With that said my choices for disappointments, best of the rest and the best are more than likely going to differ from the usual suspects. With my disclaimer (flame shield) out there let’s go to it. The first big game I bought this year after my wedding saving was finished was Watch_Dogs for PS4. Back in 2012 at the initial E3 reveal of the game I was incredibly excited for this game. The ideas represented seemed fresh. An open world game, yet everyone has something individual about them. Pedestrians have their own life and secrets that you can find out with the ability to hack. You can cause carnage and mayhem hacking different things around Chicago. The game was delayed from it’s initial 2013 date and finally launched in 2014. The game despite not even being out at the start of 2014 already felt old and as if it had been around forever. But I digress that’s not why I’m picking Watch_dogs as my disappointment of 2014. Watch_Dogs looked unbelievable when first shown, but 2 years later it’s was ever so clear that the game reveal was full of bullshots. And comparing the city to Seattle in Infamous Second Son, the game just looked inferior. Visuals aside, the game was also a very slow starter. For me anyways. The first chapter of the game felt like such a chore to do. I genuinely had to make myself play it through the initial stages of the game. The game was also glitchy as hell. Little did we know that most the AAA Games releasing in 2014 would also launch with massive bugs, but as this was the first one it was noticeable. Floating rocks, cars sinking into the road, getting stuck when hiding behind walls. Just seemed a very glitched experience. Ironic given the game’s premise. The city of Chicago did feel alive, and there were people doing things such as playing football in their back gardens, or having rap battles in the streets, and Ubisoft did try to ensure each npc had something about them if you hacked their phones. But I think the expectations were alot more from the debut and info from 2012. Navigating around Chicago was also at times unpleasant as the vehicle handling just wasn’t quite right. 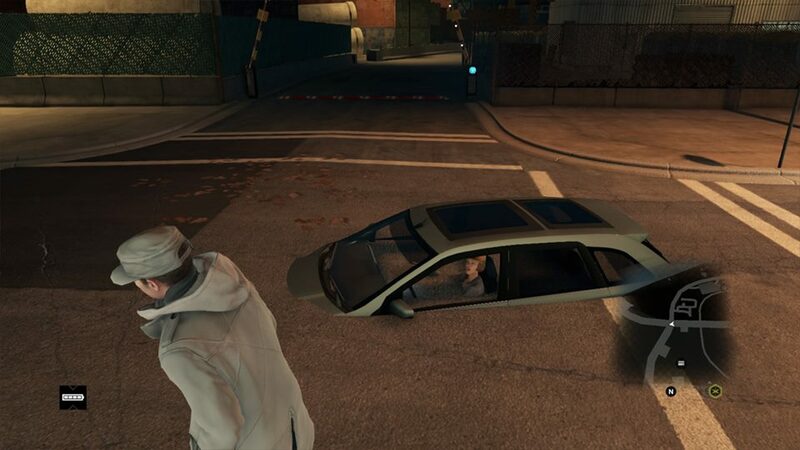 I Appreciate that it can be difficult to master perfect driving in open world sandbox games, but GTA had it down to a tee in V.
The game did pick up however, It took time but I did start to enjoy the missions, and I did complete it. I’ve yet to go back to it to do any of the side tasks which I had set myself the task of doing though. Unlike Infamous where I cleared up every district and side task. So with that said I have to give Disappointment of the year to Watch_Dogs. THIS IS HOW YOU DLC! The same transaction I purchased my disappointment of 2014, I also picked up my Game of 2014. However it wasn’t a title for my PS4. Now please please please remember my disclaimer from the top I’m only going on games I actually played in 2014, it’d be pointless for me to say that Far Cry 4 or Dragon Age are my Games of the year as I’d be lying to you all. Right with that in mind my game of the year is a Wii U Title (Controversial). It’s a game that gave Nintendo a mini revival throughout the summer. It is of course Mario Kart 8. Genuinely other than GTAV I don’t think there’s another game this year that can top the number of hours I’ve put into a game. Firstly it’s unbelievably good looking. It’s amazing to finally see Nintendo franchises in HD, And Mario Kart 8 is one of the best looking Wii U games, heck it’s one of the best looking games across all consoles this year. The attention to detail on things such as the lighting and glare from different areas of the track, or the hair or clothes rippling from the racers as they reach speeds and jump to initiate a power slide around the corner. The things happening around the tracks such as spectators watching on, or things taking place while your racing such as shy guys working on the shy guy falls track or the air traffic at Sunshine Airport. The circuits are an absolute joy to play. It’s hard to actually pick a favourite track and it’s genuinely hard to pick a least favourite track, they are all just incredibly fun. The addition of zero gravity areas on already amazing tracks makes each track seem fresh and new. 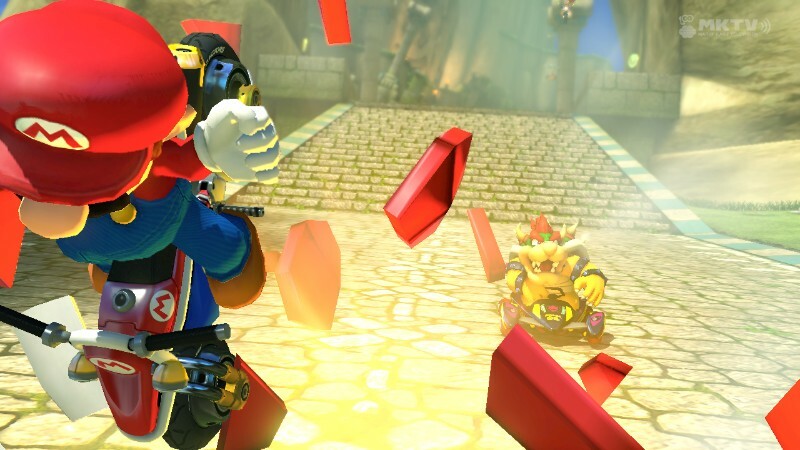 The incentive to replay these tracks over and over again is given via the upgrades you can unlock for your karts or stamps to unlock by completing tournaments with different racers. Not to mention that this game does not get boring when playing with friends. Local or online multiplayer is just amazing fun. I’ve got to be honest I do prefer local online as I love the reactions that take place when you red shell someone in first place on the final straight of the final lap. Equally as fun for them when they steal first place from you in the dying inches of the track. And some 6 months later, just when I thought the fad was calming down, the first DLC pack releases with new characters, tracks and karts and brings the game to life again. Adding nice nostalgic nods to other Nintendo franchises such as F Zero, Excitebike & Zelda brings a complete new level of excitement and enjoyment to the game. And we’ll be getting the 2nd DLC pack in 2015 to keep the game fresh again some 12 months after launch. I know it come’s across as an odd choice especially when I’ve played games like Infamous, GTA5, Hyrule Warriors all this year. But for sheer fun, enjoyment, excitement, replay-ability, addiction, jaw dropping moments, creating new curse words and all round getting back onto playing my Wii U again my 2014 game of the year choice goes to Mario Kart 8. Like Will for disappointment of the year Theif definitely falls into that category for me. It was one of the first games of 2014 I was looking forward to, and when I picked it up and played it, I was just left thinking I should have bought Wolfenstien. The reason I picked Watch_Dogs however is I was expecting so much more from it, where as Thief was going to be just another game I wanted to play. Game of the year contenders go to Infamous Second Son & GTAV. The reason I didn’t go for GTAV is that It was already 2013 game of the year without a doubt. And while it’s pretty much a complete new game with the overhaul it’s had, it’s still the same story and characters that I’ve spent numerous hours with last year. That’s not to say I didn’t clock up my hours with the PS4 version this year, and I’m loving my trip back in Los Santos. And as for Infamous, this was an amazing showcase of just what the DualShock 4 controller can offer to games. If you wanted a reminder you can take a read here.